Former France midfielder Yohan Cabaye’s time in the Arabian Gulf League was officially brought to a surprisingly premature end on Sunday when Al Nasr announced he was part of a trio of foreign starts who’d been let go. Cabaye, 32, signed a two-year deal in July once he’d decided to pursue a “different challenge” away from the Premier League’s Crystal Palace. But the Blue Wave’s woeful first half of the campaign – they sit ninth, just six points off the relegation zone at the winter break – and the addition of new Spanish coach Benat San Jose has seen them move in a different direction. The ex-Lille, Newcastle United and Paris Saint-Germain star scored twice in 19 appearances across all competitions. Loans for Corinthians winger Junior Dutra and Al Fayha forward Ronnie Fernandez have been secured in the last seven days, with Lebanon centre-back Joan Oumari set to be reinstated in the four-player foreign quota now his temporary contract at Japan’s Sagan Tosu has expired. Cabaye is joined through the exit door by fellow summer additions Samuel Rosa and Marquinhos Gabriel. “Al Nasr dispense with the services of the Cabaye, Rosa and Marquinhos and thanks the three players for the period when they wore the club’s shirt,” they tweeted. The only non-Emirati to be retained is former Spain and Real Madrid striker Alvaro Negredo. This follows an impressive nine goals in 11 top-flight matches since his procurement in September from Turkey’s Besiktas. For Cabaye, he started each of Nasr’s four AGL losses at the start of 2018/19. 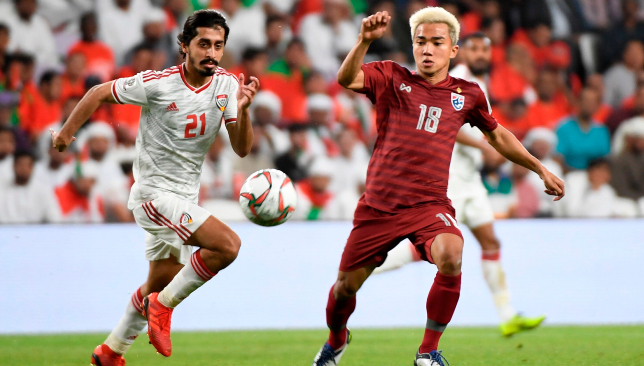 But he’d began to exert his quality, prior to the hiccup of his red card in the 1-0 President’s Cup, round of 16 triumph against Bani Yas on December. The Blue Wave are now pinning their hopes on their latest additions. Versatile Chilean attacker Fernandez played under San Jose at Bolivia’s Club Bolivar in 2016/17. Since he moved to Saudi Arabia’s Al Fayha, he’s netted 16 times in 39 top-flight outings. Dutra spent 2014-16 with Qatar’s Al Arabi. His previous loan away from Corinthians saw him go goalless in 18 run-outs for Fluminense.